We all love dressing up in our fanciest togs for a special occasion. Well, it turns out, the animals of the Australian bush are no different. 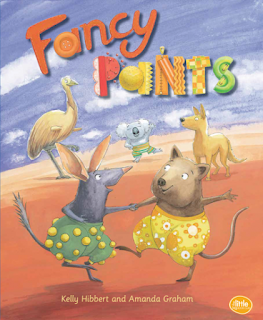 In this fun, rollicking, rhyming tale, we meet Dingo and his friends, who are getting gussied up for the Outback Dance. They are all so excited to show off their fancy pants. All except Dingo, who has nothing but his coat to wear. As each animal prepares for the dance, parents and children will find at least one of the scenes excruciatingly familiar. There's the animal that makes a huge mess while trying to decide, the one with an irritating tag at the back, the grumpy one who doesn't like anything and, of course, the one that rips their favourite pair of pants. Ring any bells? But, despite their own dilemmas, the animals are quick to rally around Dingo and help him find something fancy to wear. Resilience and friendship are key themes in this delightful book, with its vibrant and endearing illustrations and flawless rhyme. It's a gem that's sure to be read over and over again.